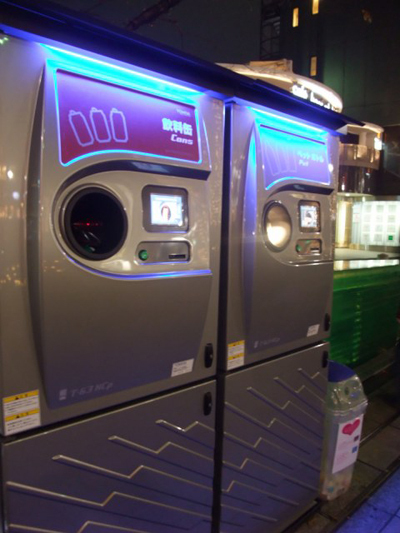 I recently read a blog post about a high-tech trash bin installed in Shibuya, Tokyo. 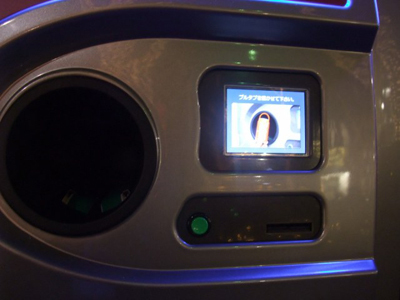 It’s very modern and cool trash bin. Many people passing the street look at it. 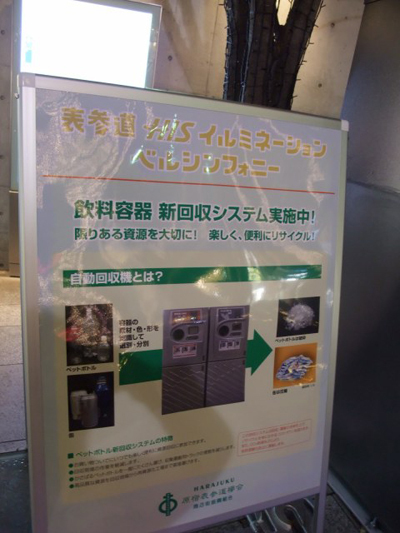 According to what the sign says, it is a machine which automatically separates trash by colors for example. It’s a little too exaggerated, isn’t it? This is the slot. It’s cool because you can’t tell that it’s a trash bin. It IS cool but the trash bin itself looks pricy so I think they got their priorities wrong. I mean a trash bin doesn’t have to be so high-tech if each one of us consciously separate trash! Anyway, since my office is close to where the bin is, I am going to see it someday.